NIBS club resumed last Friday night after a summer break and it was great to be back in the thick of things. 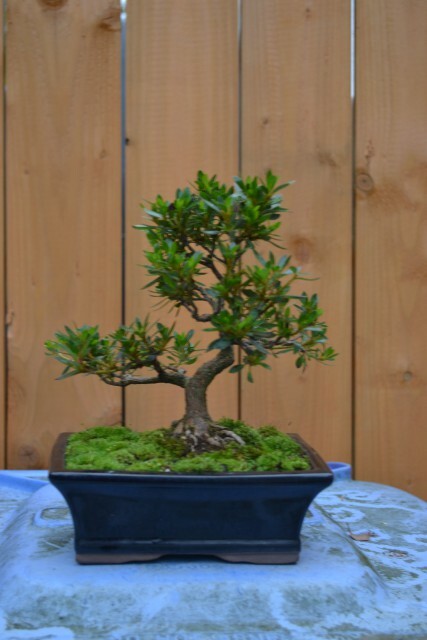 I brought with me a large cotoneaster that I dug up from the garden a few years ago. I had repotted it earlier this year and waited until now to think about styling. Before. With another Ben hiding amongst foliage. 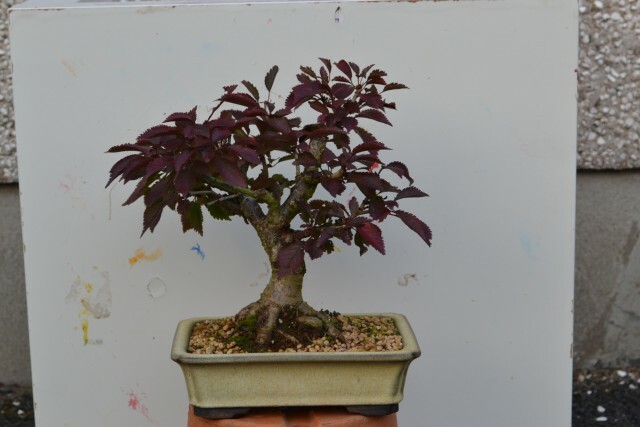 Originally I’d always thought about keeping the long trunk as it previously had multiple trunks and I thought it best to keep one but recently I’ve not been convinced. I went to club thinking that it could be chopped right down but wanted to get a few other opinions in case I’d missed something. So, with Ben modelling and Phil doing the cutting, it truly was a club effort. Here’s what I came away with at the end of the night. It’ll be short and chunky with a deadwood trunk. The foliage will grow into two main pads in future. Some wiring at the next meeting needed but before then I’ll carve down the extra trunk stubs when I get a chance. Cheers Phil! Well the trees coped fine over the weekend while I was away 🙂 no immediate casualties. 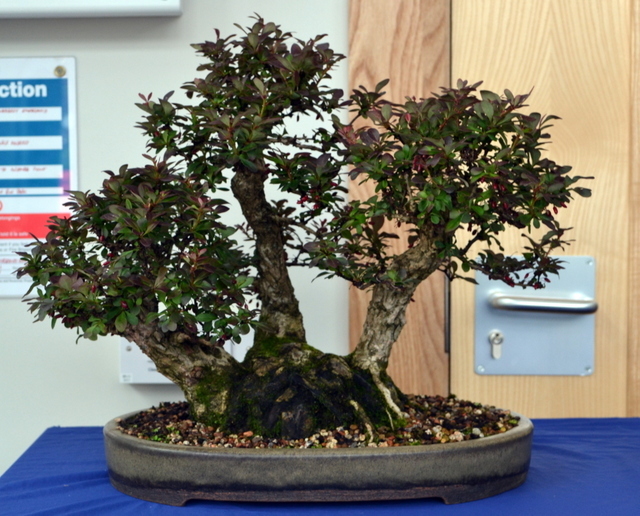 The Northern Ireland Bonsai Society is involved with several exhibitions over the next few months. I’m thinking about tree preparation now. Part of that is mossing up soil surfaces so I’m encouraging this by keeping some tree surfaces damp a lot with frequent watering and also putting them in more shade. Its working for the tree in the photo. Some moss added manually too. 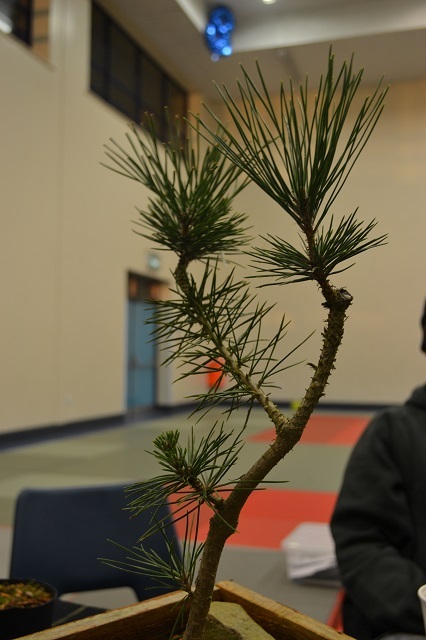 Yes, me and this old Scots Pine 🙂 Sadly I couldn’t make the recent Peter Warren workshop in conjunction with the Northern Ireland Bonsai Society as I was at home with the kids all day but I decided to make the best of it and have a go at styling a tree on my own for the first time. 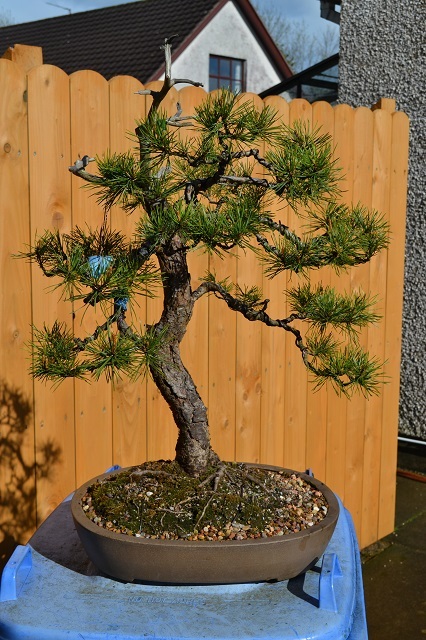 I’ve had this Scots Pine a few years now and after recovering from needle cast two years ago and a much needed repot and root prune last year, I’ve been waiting to have a go at this one. 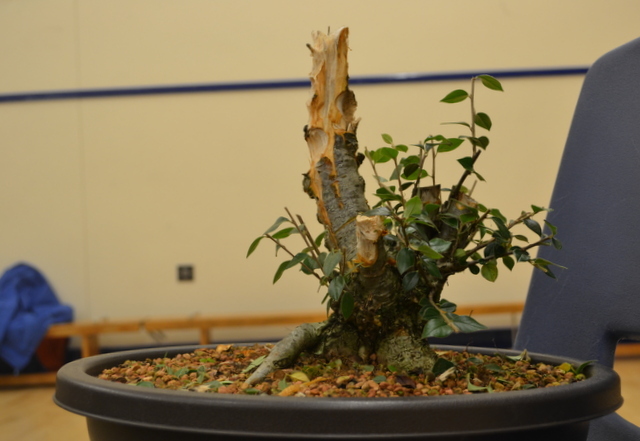 Peter Warren saw it two years ago and wired the primary branches. Since then I’ve just been feeding it and waiting for backbudding to appear. Anyway, a more detailed history/progression will appear on the blog at some point when the tree is much more presentable. 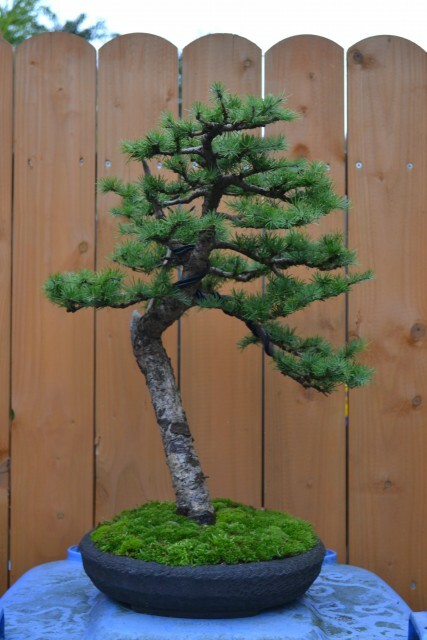 I actually think that if I remove the downward needles, lime sulphur the deadwood and cover the surface with moss it might make a decent image to the untrained eye. We’ll see. 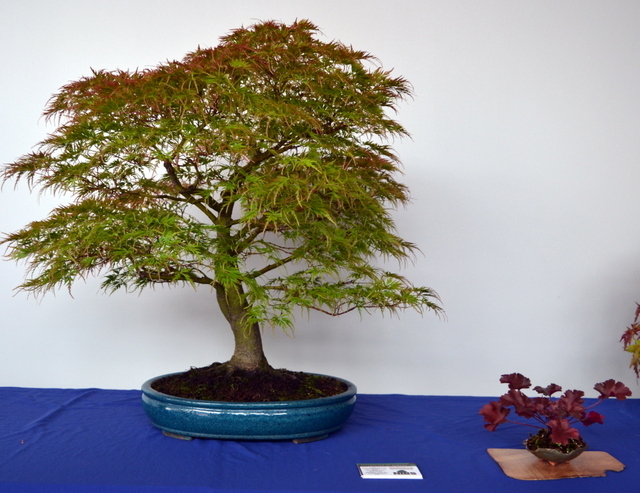 This weekend is the Belfast City Autumn Fair/Flower Show held in Botanic Gardens and every year there is a display of bonsai competing in various classes. 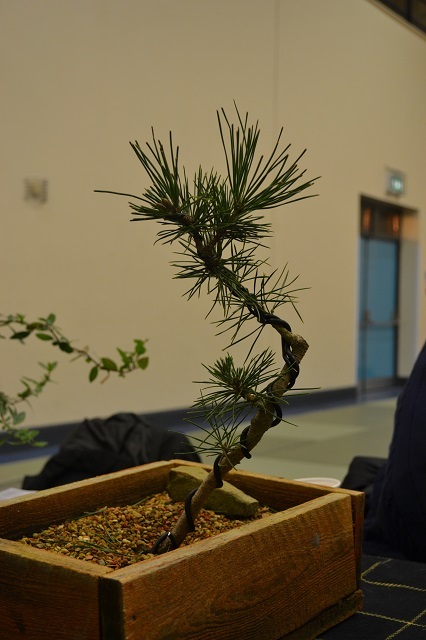 I’ve never attended this show yet but after a bit of cajoling from Bonsaieejit to get NIBS members to enter trees, I decided I may as well gain a bit of experience and enter a tree or two. I’m not confident that my trees can be recognised ahead of others in such a competition but we were assured that it’s all just a bit of fun and nobody takes it too seriously. It shall be a valuable learning experience in terms of what it takes to successfully enter a tree but also perhaps some feedback from a/the judge can help me to improve the particular species I’m entering. 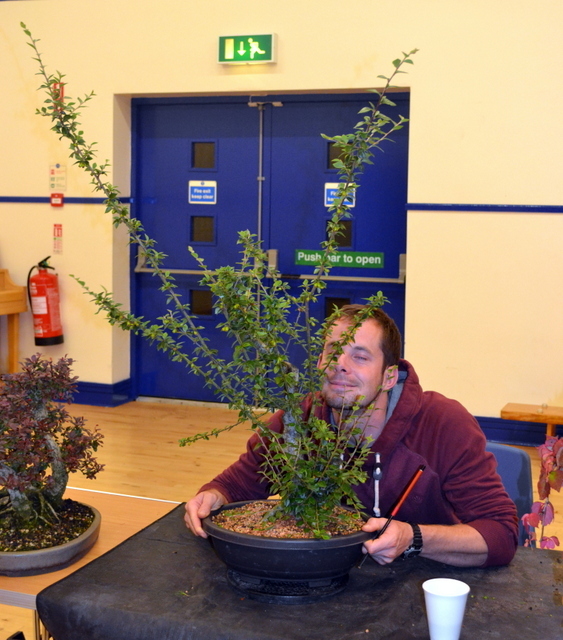 Anyway, out of the mostly raw material I have, I decided to enter my kifu/chuhin Chinese Elm in the ‘indoors’ class, my Satsuki Azaelea in the ‘evergreen’ class, my Japanese Larch in the ‘coniferous’ class and my Fuji Cherry in the ‘shohin’ class. It was a bit hectic trying to prepare the trees at such short notice but I’m satisfied with how they look given the short time frame I gave myself, the level of material and with it being my first time displaying my trees publicly. 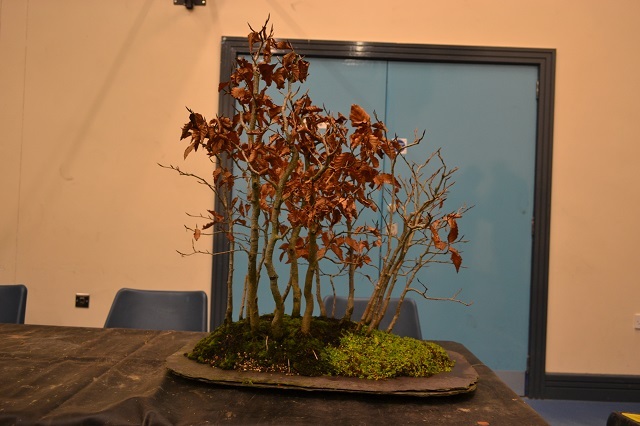 Satsuki Azaelea – dead leaves removed, moss added. 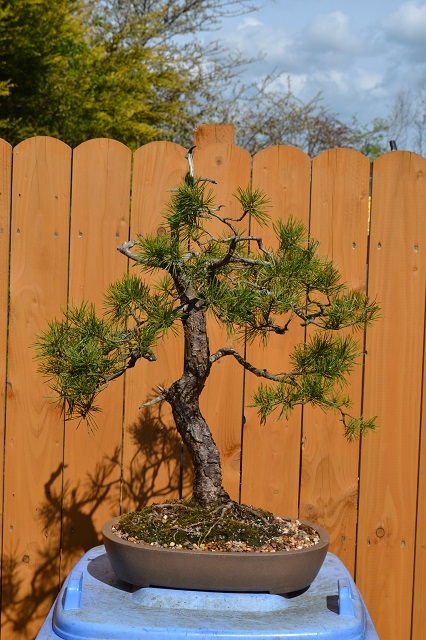 Japanese Larch – dead/yellowing needles removed, downward growing foliage also removed to reveal cleaner branch lines. Moss added. 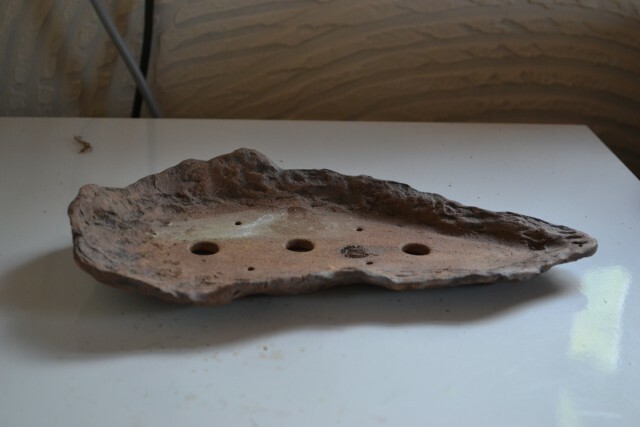 Wire removed but reapplied on the bottom branch which hadn’t held. 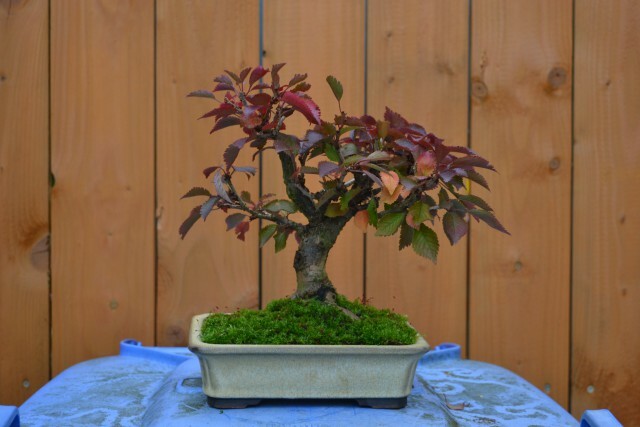 Fuji Cherry – had a bit of a disaster with this one! I was attempting to remove a large knuckle from a branch but got distracted and very clumsily cut too far. The tree is now minus a primary branch! From the front, I felt it was now a bit of an ugly image with two large prominent wounds and one of them would be very fresh so I decided to show it from the opposite side which didn’t have as much colour in the foliage but was overall a nicer image. Moss added. 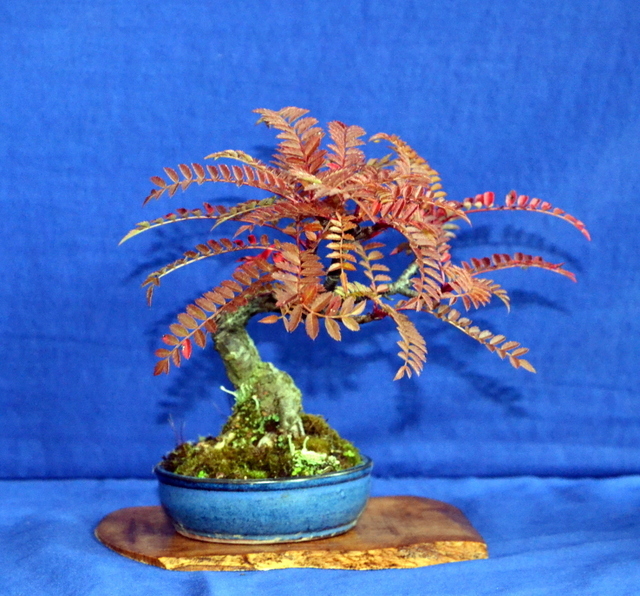 Chinese Elm – didn’t have to do much with this one. Moss already growing on the surface. 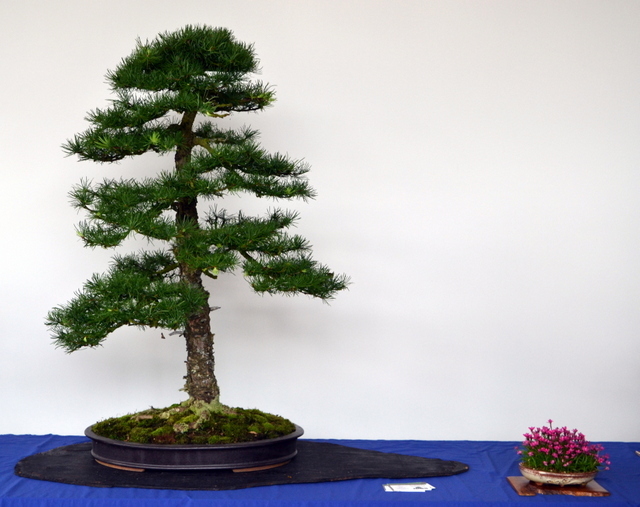 Just a light trim of extending shoots and removal of dead twig ends. Fruiting, flowering and berried. Lovely pyracanthra fruit. I apologise for the quality of the photos, lighting was poor and I’m an inexperienced photographer! These were shots from last night so the displays have probably been adjusted since entries were allowed up to 10:30am. I’m sure someone else may take better shots over the weekend. I hope to visit the fair with my wife and kids today as it appears to be a very child friendly event with rides, music and other activities. 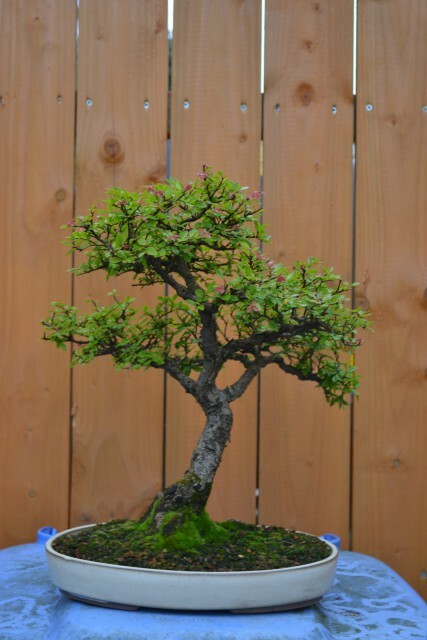 1: I had one of those epiphanies when seeing my Chinese Elm from another angle across the room and have finally found a direction in which to develop the tree. 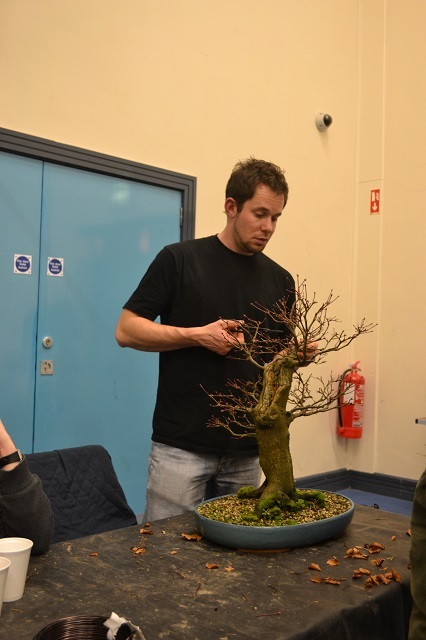 I’ll explain more about this in another post but being part of a local bonsai club is definitely a good way to improve your skill and knowledge as a bonsai artist. 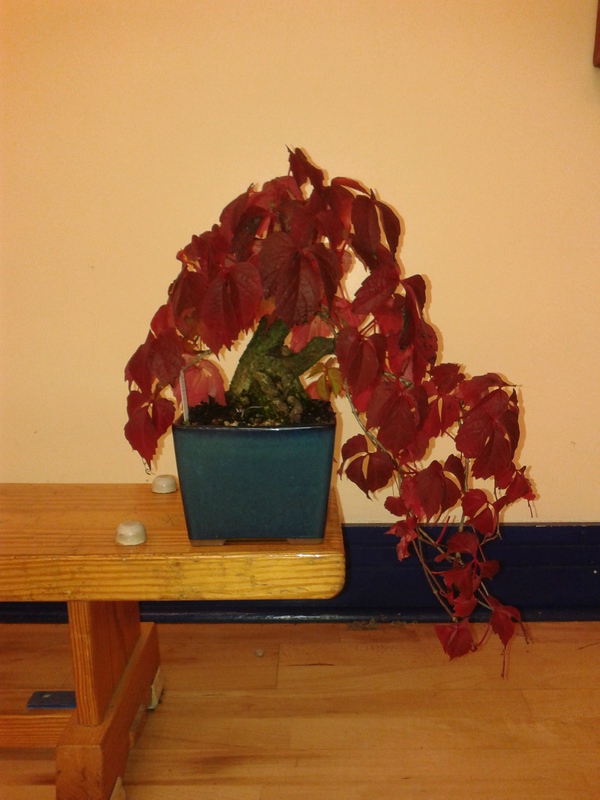 2: This Parthenocissus (Boston Ivy/Virginia Creeper – not sure!) 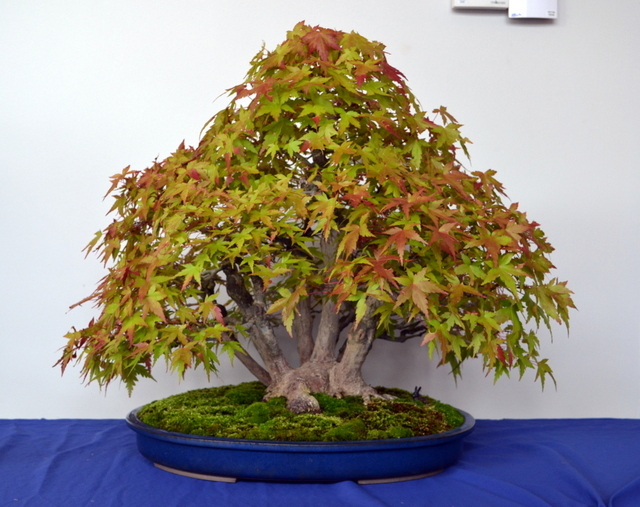 was a showstopper in my opinion, displaying autumn colour at its peak. It’s owned by Ben Follis at the club and typifies for me the excitement of the changing colours of this season. I’m looking forward to seeing more colour change in the natural environment and in my garden as we expect temperatures to gradually drop over the next couple of months. 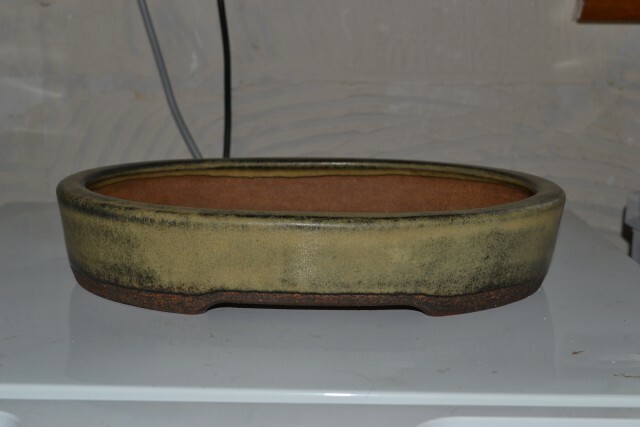 3: Pots! 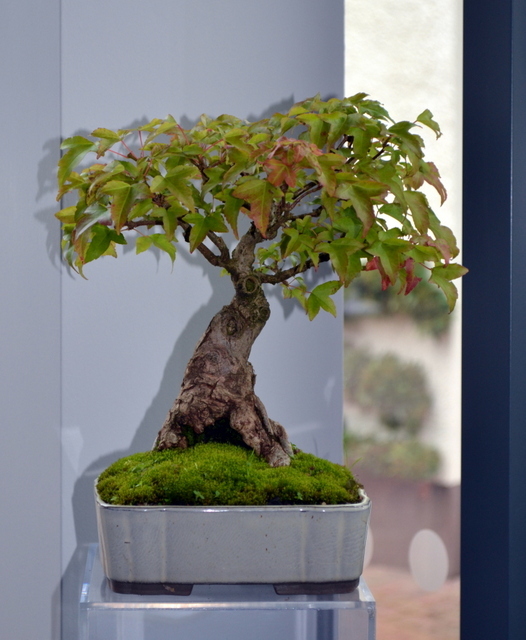 At each club meeting there is usually the chance to buy something from another club member whether it be bonsai material or pots/accessories. 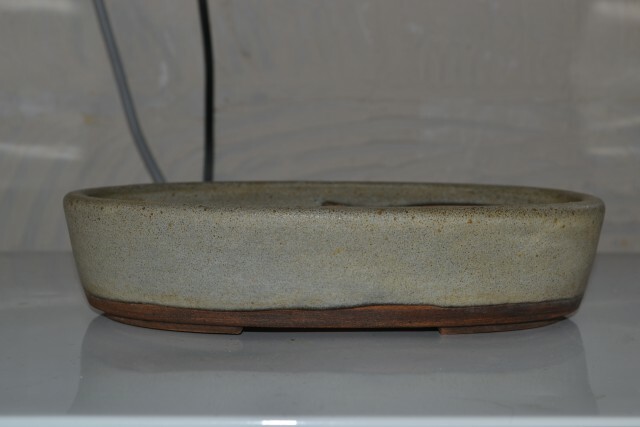 There was a wide range of various items present, including a number of Walsall Ceramics pots. Now I’m very fond of pots from their kiln, and it was this plus the fact that Bertie scooped most of the raffle prizes that led to me walking away at the end of the evening with three unexpected purchases! 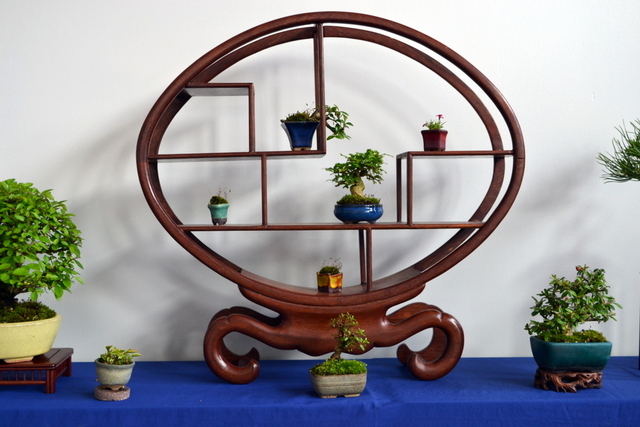 They were being sold by a member who has spent a few years doing exactly what I just did – buying pots that he didn’t immediately need! 🙂 They were at a very reasonable price and so I couldn’t resist (looks like I caved in, Bertie!). I do have a few ideas about what I can put into them but just may have to wait a bit longer than next Spring. 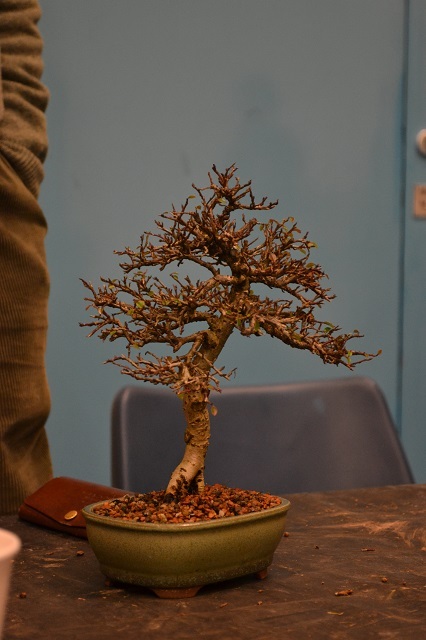 I always look forward to NIBS club nights and with bonsai being displayed at the Belfast City Autumn Fair and the NIBS Bonsai School in a few weeks, it’s going to be a busy month!